Our Madeline Collection personifies feminine, delicate, graceful contours. 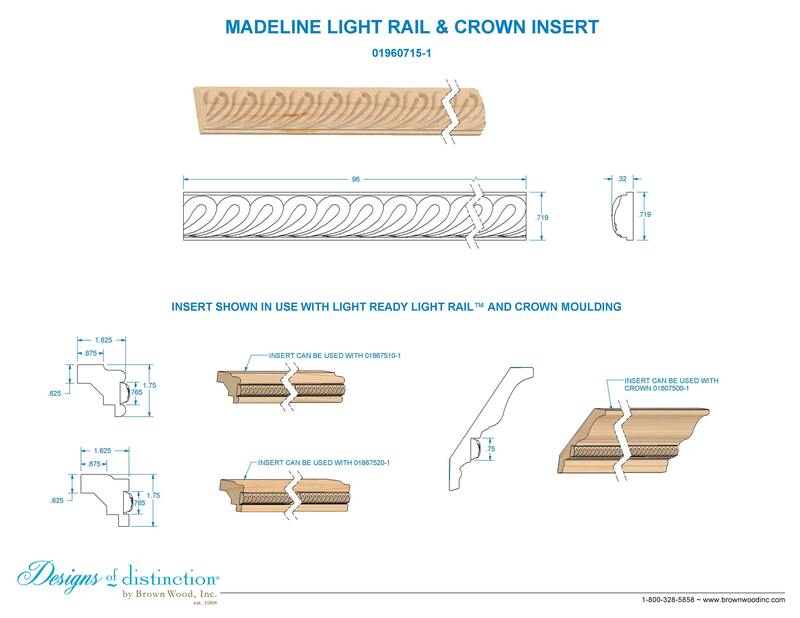 Use the Madeline Light Rail Insert on it’s own or combined with our Traditional, Contemporary, or Crown Light Rail Moulding to create your own exclusive design. Available in various stock species, the Madeline Light Rail Insert is part of our Madeline Collection. Shop more of this look in the Madeline Collection.